The Beatles 50 Years Ago Today: April 16, 1968. Beatles Radio: The Beatles, Solos, Covers, Birthdays, News The Fab 4 and More! 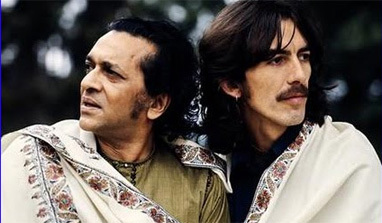 George and Pattie Harrison, plus her sister Jenny, were in Madras visiting Ravi Shankar. George didn't want to go straight from two months of meditation into the chaos that was waiting for him in England - the new business, finding a new manager, the fans and the press. Instead we went to see Ravi Shankar and lost ourselves in his music.